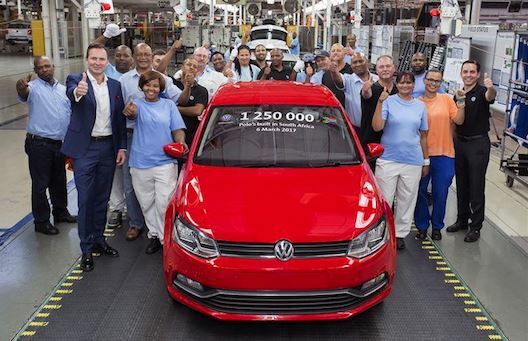 Thomas Schaefer, Chairman and Managing Director of Volkswagen Group South Africa recently celebrated with employees and management of vehicle assembly in Uitenhage as the facility completed its 1 250 000th Polo. The milestone also marked 21 years of the production of Polo in South Africa. The Uitenhage manufacturing factory produces Polo and Polo Vivo, both of which have been the best-selling passenger cars in SA since 2010. Polo Vivo was only sold in South Africa until December 2016 when the first Polo Vivos were assembled and sold in Kenya as part of Volkswagen's Africa strategy.